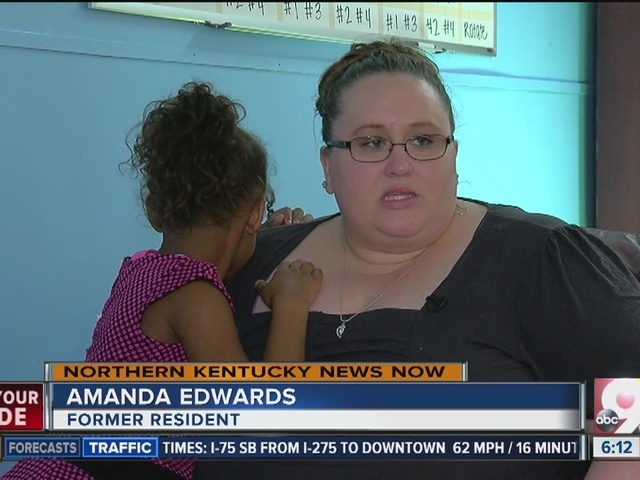 NEWPORT, Ky. — Amanda Edwards was devastated when Family Promise of Northern Kentucky closed in 2014. She, her husband and her daughter, Caddie, had counted on the shelter the year before when they were homeless. Family Promise gave them an opportunity to stay together as a family and get back on their feet. "I know what this program means to families," Edwards said. "Without it, you're getting separated." Now, thanks to the work of local churches, volunteers and other supporters, Family Promise of Northern Kentucky is back in business. Family Promise will provide overnight shelters, meals, transportation and case management services to homeless families, like it did before it closed abruptly two years ago. The Family Promise Day Center in Newport. The shelter's Day Center reopens at 7 a.m. Monday and will welcome three different families — 13 people in all. It has room for as many as four families and 14 people total. 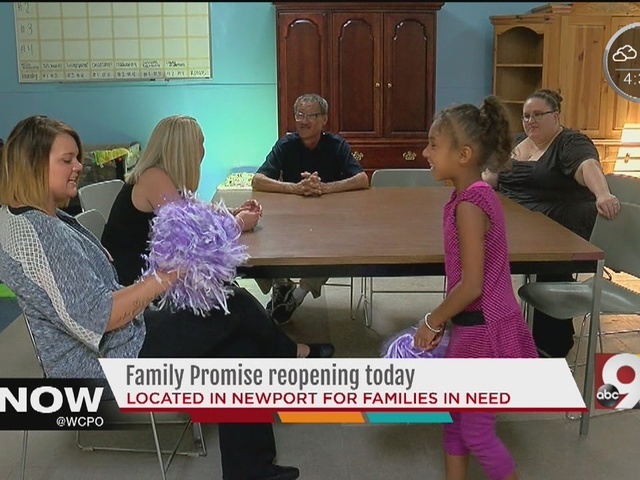 Family Promise of Northern Kentucky will have activities for the children and a case manager to help their parents get benefits, look for jobs or with any other resources they need to get their families back into stable housing. The center stays open until 5 p.m., and then families are taken to local churches, where volunteers provide them with hot meals and a place to sleep. In the morning, the families get breakfast and can pack lunches before they go to work or school or back to the Day Center. While families are with Family Promise, the shelter provides all the food, clothing and personal essentials they need. That way, families can set aside the money they earn and have savings to help them pay for an apartment deposit or have a cushion when they leave in case another financial crisis hits, said Amanda Speier, the new executive director of Family Promise of Northern Kentucky. "The need actually shocked me," Speier said. "We had a wait list as of last week, and we weren't even open yet." The reopening of Family Promise of Northern Kentucky will help the already strained family shelters in Hamilton County, too, said Kevin Finn, CEO of Strategies to End Homelessness. That's the agency that distributes federal funding to homeless shelters and service providers in Cincinnati and Hamilton County. "It was kind of a punch in the stomach for the whole system in trying to meeting the needs of the whole system when Family Promise closed," he said. "It was a question of how we were going to meet the needs of that many more families. We're pleased that it's reopening." Family homelessness has been on the rise in Greater Cincinnati, and there are few shelters that allow entire families to stay together. The Family Promise of Northern Kentucky system is similar to the Interfaith Hospitality Network of Greater Cincinnati, which provides support and services during the day and provides overnight shelter through a network of local religious organizations and volunteers. In Northern Kentucky, more than 35 local churches will provide the overnight services that the Family Promise families need. The shelter primarily serves families from Boone, Campbell and Kenton counties. 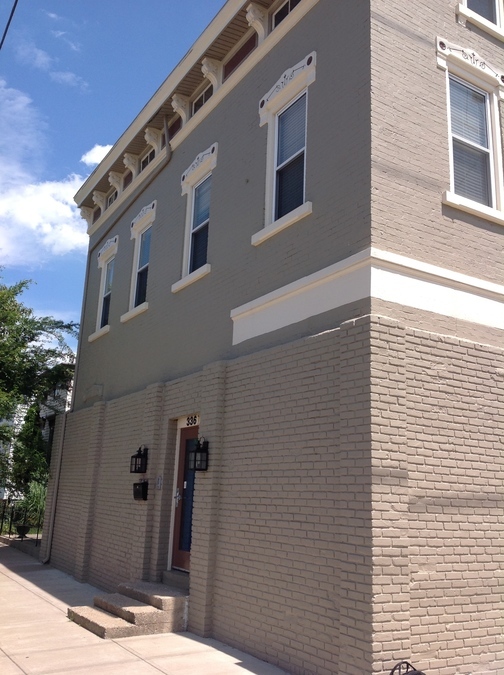 The shelter capacity is limited to four families at this point so that the churches aren't overwhelmed and so that Speier and Amber Pegg, the shelter's case manager, can provide the services the families need. Interns from the University of Cincinnati and Northern Kentucky University also will help with case management services, Speier said. Karen Yates is one of the Family Promise supporters who worked to help the shelter reopen. She helped start the shelter more than 20 years ago and was devastated when it closed in 2014. "Once there was a key group of us that got together and started asking the question, the churches were all on board and a lot of volunteers were all on board," said Yates, who is vice president of the Family Promise of Northern Kentucky board of directors. The hope, Yates said, is "that it never closes its doors again and that it continues to grow." "Unfortunately the need is out there," she said. "And we just need to be able to have the space and the capacity." Even before its opening day, Family Promise of Northern Kentucky had three families on its waiting list, Speier said, and the shelter gets calls about families who need help every day. Each family gets fully stocked cabinets and a small refrigerator at the Day Center. The goal is to help families stabilize and leave the shelter program in about 90 days on average, Speier said, but sometimes that can take longer. George Napier and his family stayed at Family Promise of Northern Kentucky for about a year starting in 1999, he said. His daughter was just 8 months old at the time, and the thought of being separated from his wife and baby girl was scary, he said. "With my little girl there, that was one of my biggest fears that maybe I would have to go somewhere else, and they would have to go somewhere," he said. "When they took us in, we were able to stay together." By the time Napier and his family left the shelter, he had a steady job and had been able to save up around $600 thanks to everything Family Promise provided. Napier, who now lives with his family in a house in Newport not far from the shelter, was so grateful to Family Promise that he worked as a volunteer for five years after he left and then was a paid employee for another 10 years. So it was especially hard for him when the shelter closed so abruptly in 2014. "It was one of those things when you walk in and they tell you today's your last day," he said. "The families here, they had to get out right away." Speier is confident that Family Promise is on solid financial footing now. And Finn is working with her to help the shelter tap into sources of federal funding that, once the money starts to flow, could be a big help, too. "We're very interested in making sure that Northern Kentucky families are able to get their needs met in Northern Kentucky," he said. That's what families want, too, Edwards said. She, her husband and Caddie are now living in an apartment in Elsmere that Family Promise helped them find. They struggled a bit at first, she said. But the money that they saved with the help of Family Promise has made all the difference. "We are doing so much better," Edwards said. "We had a little over $1,500 total when we left, and that was only in a three-month period." Edwards and her husband were able to use that money to buy living room furniture for their new place, she said. Even more importantly, it gave them financial stability that has helped them ever since they left Family Promise in October 2013. That's what Speier and Pegg aim to deliver for all their Family Promise families. Photos of some of the churches in the Family Promise network hang in the Day Center's lobby. For more information about Family Promise of Northern Kentucky and how you can help, click here . Lucy May writes about the people, places and issues that define our region – to celebrate what makes the Tri-State great and also shine a spotlight on issues we need to address. Childhood poverty is an important focus for her and for WCPO. To read more stories about childhood poverty, to go www.wcpo.com/poverty .